While surfing Facebook, you must have seen a blue badge indicating verified pages and profiles of famous people such as celebrities, journalists and politicians etc, but looking at verified pages of Anonymous hacktivists was something totally unexpected. Yes! there are two pages on Facebook belonging to the Anonymous hacktivists with verified page status and millions of likes. We saw Anonymous Brasil page with verified badge last week and after further research, we found out another Anonymous hacktivist page with verified status. We failed to understand how hacktivism pages can get verified badges on Facebook. Does the social media giant Facebook considers Anonymous a celebrity or it has accepted its impact on society? 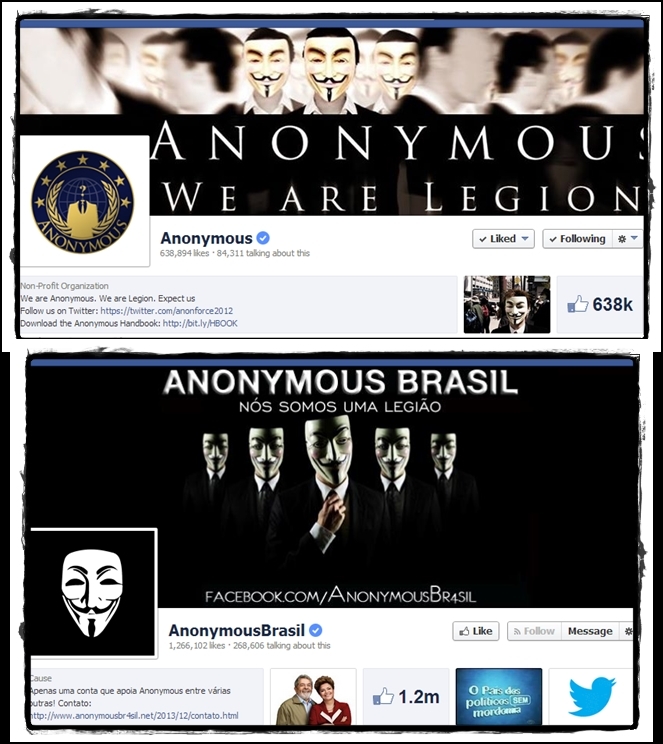 At the moment AnonymousBrasil page has 1,315,559 likes, and the second ‘Anonymous’ page has 638,813 likes. Meanwhile things are different on Twitter where one Anonymous hacktivist going with the handle @YourAnonNews has 1,244,029 followers yet the verified badge has not been issued whatsoever. Well, we hope one day we at HackRead will get verified status on both Facebook and Twitter :D.